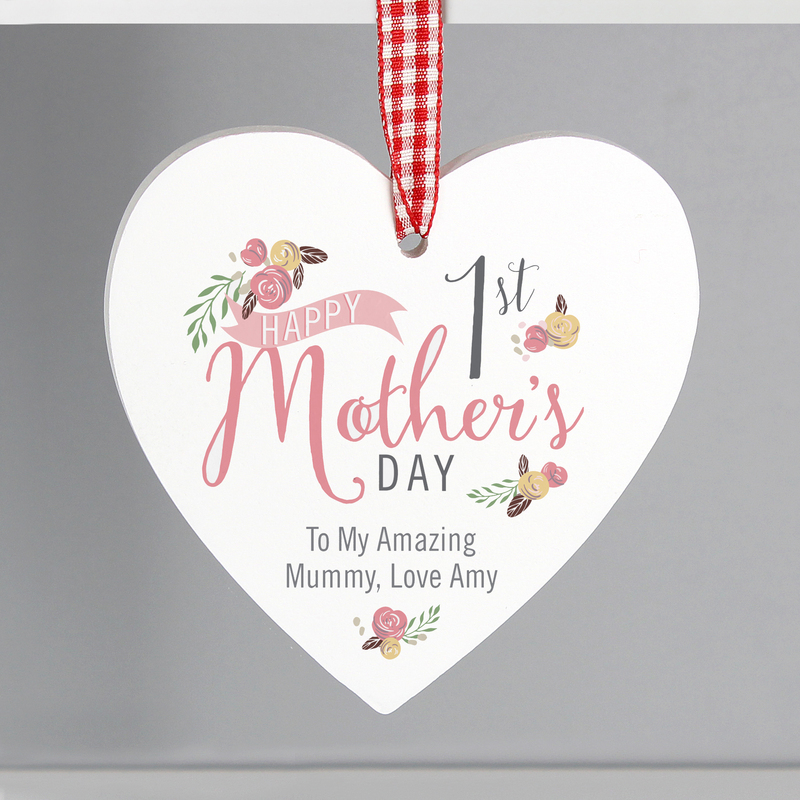 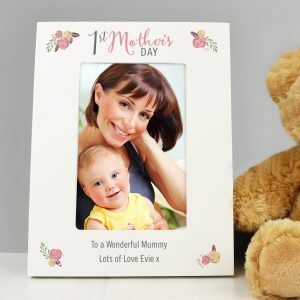 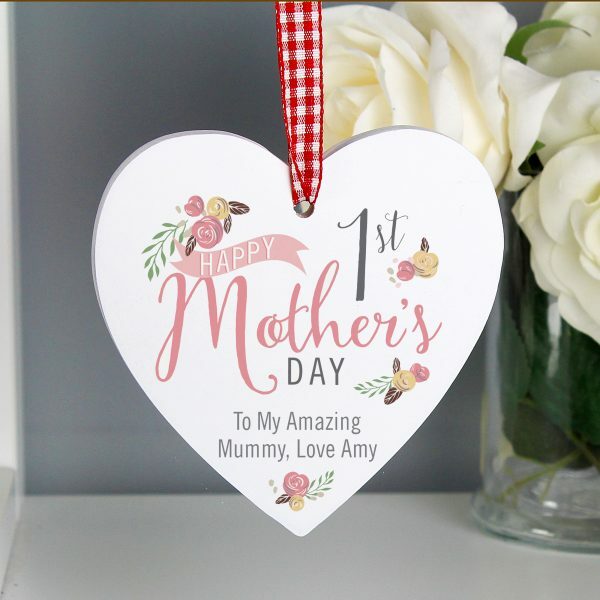 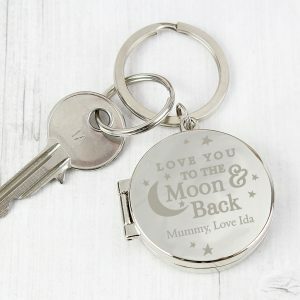 This Personalised 1st Mothers Day Hanging Heart is a lovely gift idea for a new mum on Mother's Day! 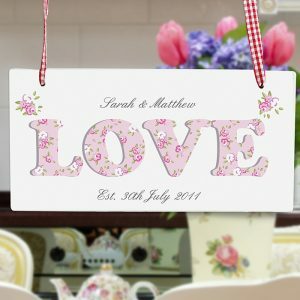 This decoration can be personalised with 2 lines of text of up to 15 characters per line. 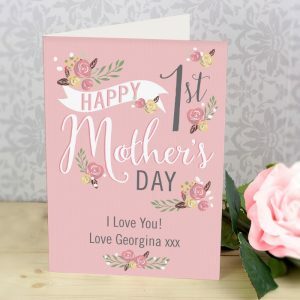 The words 'HAPPY 1st Mother's DAY' are fixed. 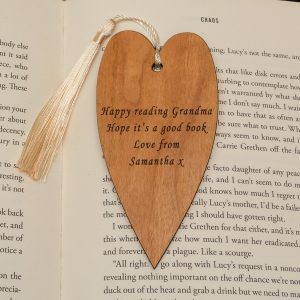 Our heart shaped decorations are made from wood. 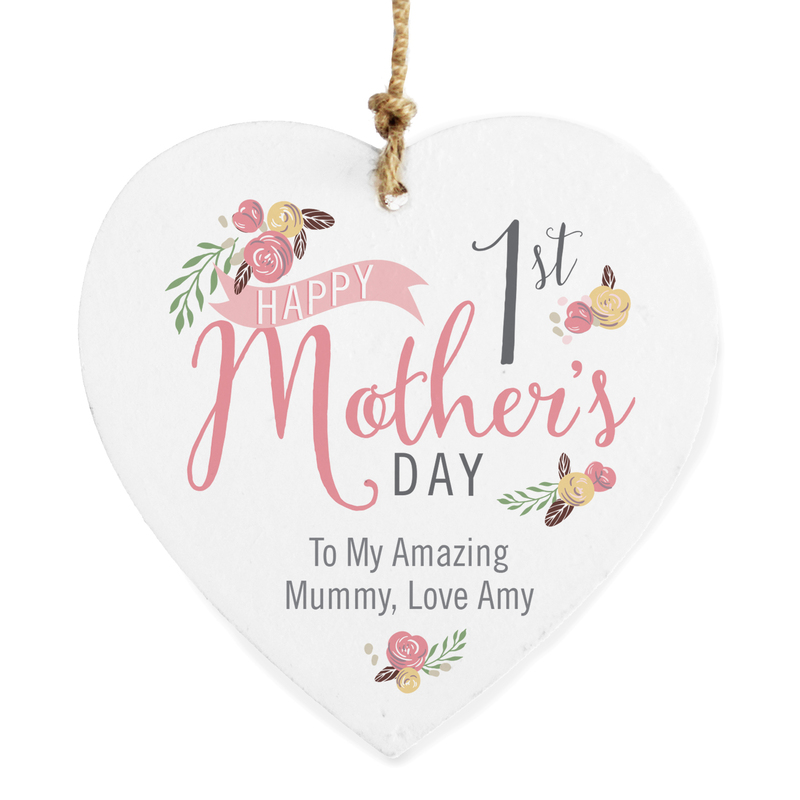 Decorations are supplied ready to hang.